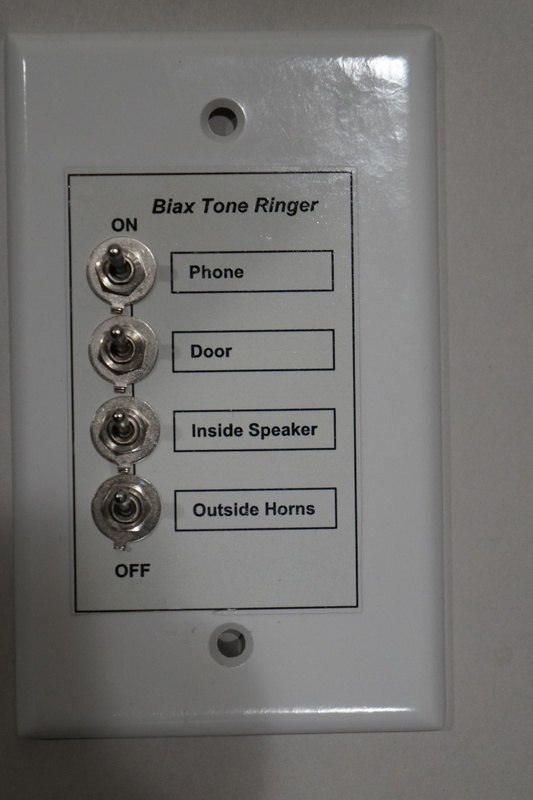 Designed and developed by Biax Communications, Biax Tone ringer123 is an electronic device providing the familiar warble tone through speakers and horns. The ringer is triggered either with a dry contact located in the telephone system or 90VAC ringing voltage. In addition it produces twin single tone to indicated the presence of a guest inside the lobby. Using a switch bank, all speakers and horns can be enabled or disabled as desired. Contact Biax Communications for more information.